After the success of its first three “DARE” in France and Italy, LVMH is now expanding the international scope of this initiative. The Group chose Shanghai, the luxury capital of China, to put the collective intelligence of its talents to work, to reinvent the sector’s future. This new edition focused on the creativity and innovation, as well as the entrepreneurial spirit and quest for excellence, of 60 Group employees working in the Asia-Pacific region. Representing 23 of the Group’s Maisons and 16 nationalities, these talents transformed an idea into a business plan in just three days. At the conclusion of the event, a Jury consisting of Executive Committee members, senior executives from the Group and outside experts awarded 3 teams for their innovative projects, all which will be implemented. 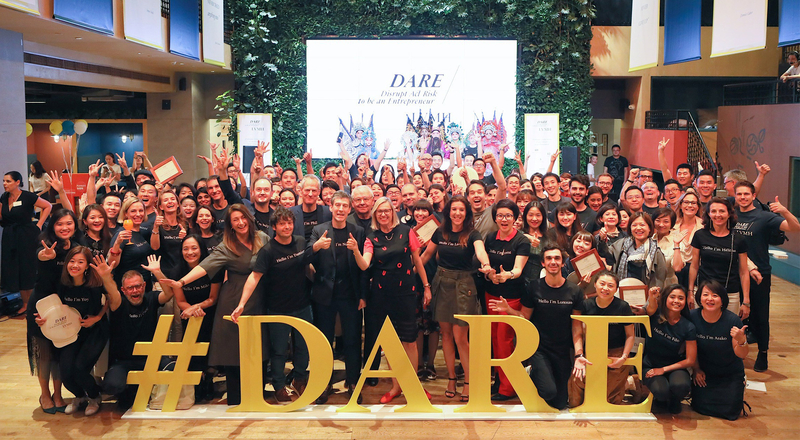 The 60 talents from the Group and its Maisons participating in DARE Shanghai were selected following an internal call for ideas sent to 6,000 people, which produced 255 candidates. These 60 were divided into 12 teams after a pitch session Tuesday afternoon. Twelve students from prestigious Asian universities joined the teams to provide their contribution to the development of the projects over the three days. 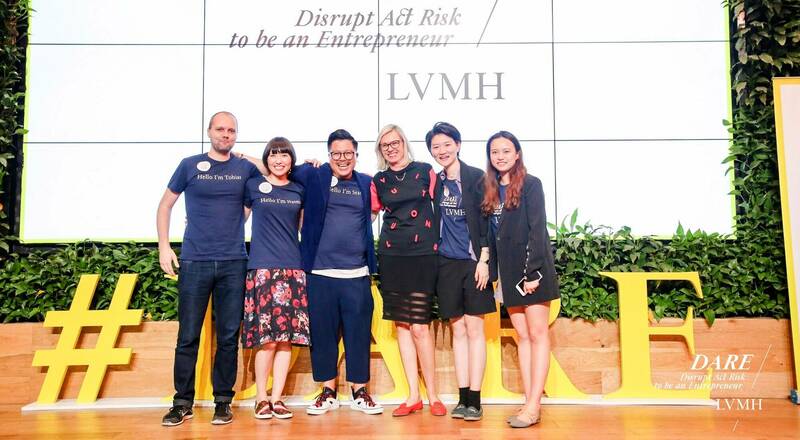 By applying a methodology inspired by the start-up business model, these intrapreneurs from diverse departments shared their expertise and experimented with new ways of working in order to co-create novel solutions that address the challenges faced by the LVMH Group. “Since July 2017, we’ve been able to witness the success of the DARE experiences in terms of the professional development of our talents as well as the business innovations conceived for the Group. The three previous editions in Paris and Venice created certain expectations internationally and motivated us to export this initiative to Shanghai for the benefit of our employees working throughout the Asia-Pacific region. It’s a very rich cultural experience that has marked all the participants positively. 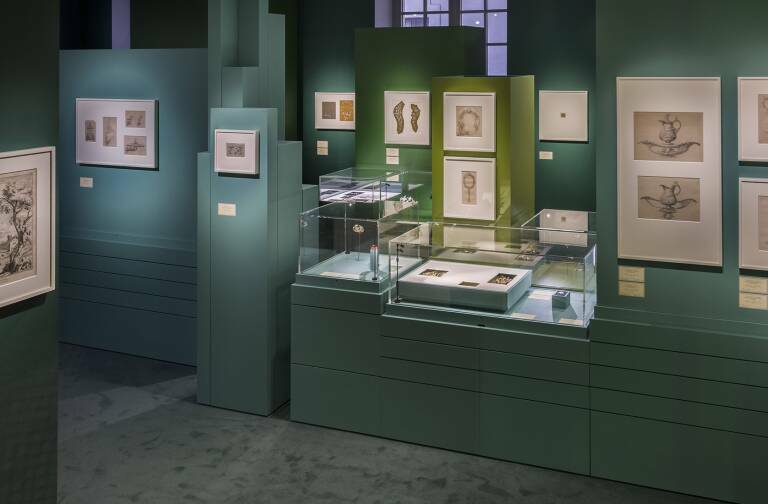 In less than a year, we’ve carried out four major initiatives that have established a new format and deeply shifted the mindset of the Group,” stated Chantal Gaemperle, Executive Vice President, Human Resources and Synergies at LVMH. 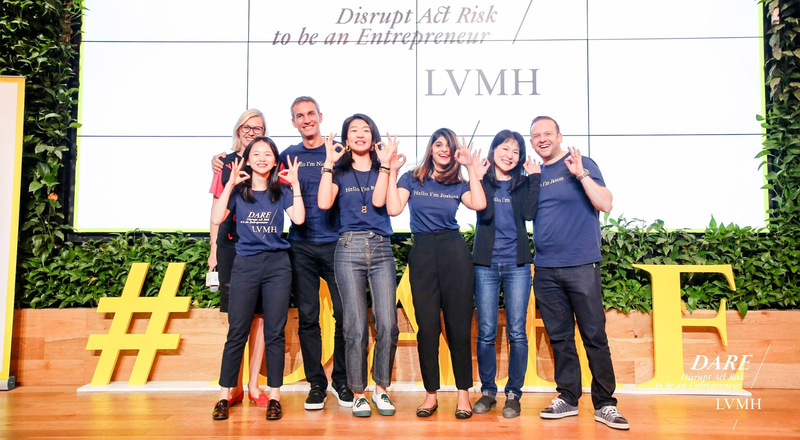 Ten mentors, senior executives from the Group’s Maisons in the Asia-Pacific region and outside entrepreneurs were present Wednesday to coach and challenge the teams. They enabled the teams to refine their business models for the final sales pitch ceremony before the Jury. 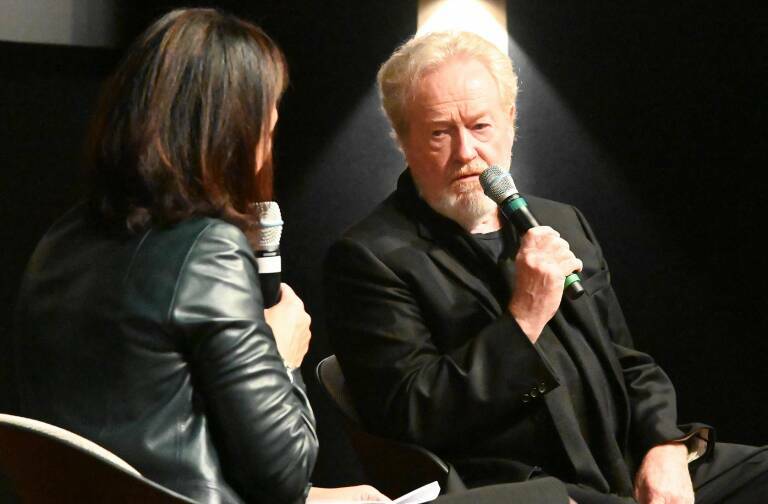 The Jury, consisting of Executive Committee members and senior executives from the Group and its Maisons, as well as outside experts, gathered together before an audience of more than 150 people. At the conclusion of the ceremony, three teams were awarded for their innovative ideas. 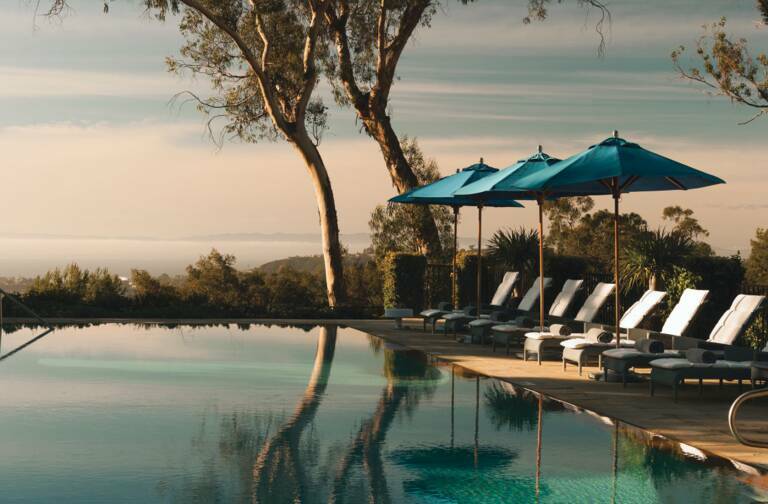 These ideas meld the talent coming from diverse Maisons within the Group into projects linked to a sustainable approach of customization of luxury goods; a tailored-made empowerment program for Store Managers; and a unique traveling platform to offer a specific experience of the Group’s Maisons’ ecosystem to Asian clients. The winning teams will meet tomorrow to exchange views on this experience and crystallise their projects by working on the next stages with Group experts. 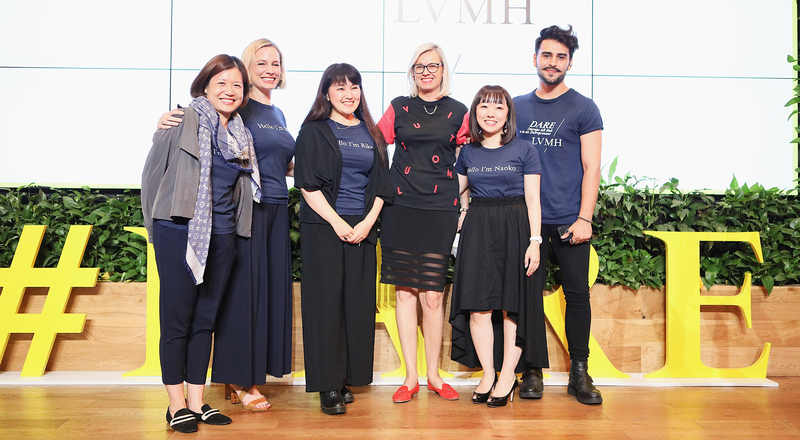 These experts, who come from diverse departments (environment, digital, IT, HR, finance), will help them fine-tune their projects so that they can be implemented within the LVMH Group. Our call for ideas went out to nearly 6,000 people within the Group.